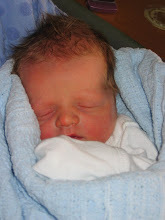 When Ko was born, he was born with LOTS of hair! I was so happy that my little guy wasn't born bald! He didn't really start to lose it until he was about 5 months old, and when it came back in, it came back even thicker! I love it! But the only downside to is is that he has to get his hair cut ALL THE TIME!! If I let it grow out too long, it gets really difficult to do and I get really frustrated with it sometimes! Mom got a little carried away with the clippers!! I swear I really didnt' mean for it to get that short! My sister says he looks like a little cancer patient! How sad! I guess it will grow back! Playing with his cousins (after getting a good sunscreen rubdown on his big head)! Helping daddy landscape Aunt Jenn's yard! Uncle D was happy that him & Ko now have matching haircuts! I love it! He looks so much older..hope all is well at the Frame household.. I think it looks a summer cut that boys usually get in the summer... he really looks cute with the new do!! We buzzed Bostons hair too (except not that short) but it looks really cute maybe I will get Boston's that short. I love it! when i first saw Ko man yesterday i had the same thought as Jen. He really does look so cute! i was telling Ko about when we used to cut his daddy and uncle D's hair like that when they were little too and how we called them peach heads! i love the pic of him and Dall, so cute. Ko is getting so smiley!! I don't know what you are talking about. He looks so cute. SO CUTE! by the wy I went running yesterday and made 2 1/2 miles. I gues what I am saying is I am pretty sure I can do the 5K with you. Where do I go to sign up? I think he looks great! What a perfect cut for summer! Who knows, maybe it will grow back even thicker than before! :) Miss you! I think he looks so cute! I totally know that feeling of having a mini-freak out! lol! I actually like it, although it does make him look older which makes me sadder. That story is funny. I could just imagine it getting shorter and shorter, then you might as well buzz it and let it grow back even. He looks cute! Thats funny, I am totally like that! I love his little summer buzz! Very cute! I know I was sad I didn't get to see you and Kohen at the reunion. Lets for sure get together at some point, that would be fun! How are your video workouts going? I really need to get in shape. I always find someway to put it off. Rachelle, I love you. I hope you like his hair now because everyone else sure does. The first thing I thought was that he looked like Dallas. He's so cute no matter what! So I want you to know that you gave me a really good chuckle :) and I think the reason why is because I SO have those moments! He looks like such a cute buddy though! It makes me so excited! I'll have to bug you for mom advice cuz I'll sure need it! I've been meaning to tell you too... There are lots of houses for sale in my neighborhood and I would love to have a neighbor friend :) Keep me posted on your guys' house hunting progress. I think it makes him look older. Cute little guy. By the way, I would trade you my tan for your skinny little body! Deal? I thnk it is cute. I felt the same way about Conner's hair and then when Matt buzzed it I thought I was going to die. Don't worry it grows back faster than you think! We just gave him his 2nd buzz of the summer! There are days I have wanted to do that to myself!! He looks cute with any cut!! It makeshis eyes "pop"! Really cute! I am also glad you say whether it's Dustin or Dallas. I have known themsince kindergarten and used to be able to tell them apart, but in pictures it's hard! Am I lame or what?! I think he looks cute! His first buzz! You are lucky too much hair is your problem! Luke's hair is just barely starting to come in to where he doesn't look completely bald!! It's cute how Kohen and his daddy's hair cuts match! Whoops i posted my comment before reading the description on that last picture and without looking closely I thought the picture was of Kohen and Dustin! Sorry! Well they are twins so I guess I have an excuse, sort of! Rachelle, I love the story of his buz, I was wondering, he is darling though. Are you gearing up for our next race? No grey spandex this time!! !